Suspensions|Brandon, FL :: Scott's Automotive Inc.
We are your area Collision & Auto Repair Specialist! Welcome to the new Scott’s Automotive Inc.com! 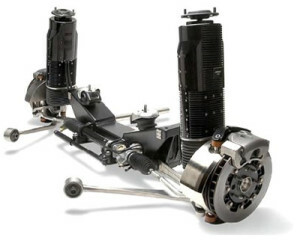 Your car’s suspension system is an intricate network of cooperating (usually, anyway) components designed to give you a smooth, even, stable ride. Since the suspension is ground zero when it comes to road abuse, the parts wear out, and even break. If your car doesn’t seem to ride like it used to, you may have a problem down below. It may seem daunting to try to diagnose steering or suspension problems, but if you attack it systematically, you have a fighting chance. Just find the symptom that sounds like you and see what the probable causes are.